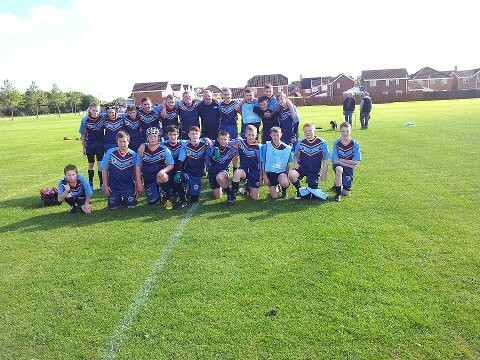 First festival of the season was held at Winlaton home of the Warriors. Pumas travelled with seven U11s and three U9s. The U11s took a little while to settle back into the festival format with a 2-1 loss to Tigers in their first game (try scored by Benjamin Simpson). However they soon got into the swing of things and were undefeated for the rest of the festival. Next up was Whitley Bay Barbarians and Pumas clocked up three tries by Lewis Simpson, Benjamin Simpson and Brandon Wallace and were strong in defence not letting any tries past them. Next up was North Yorkshire Broncos and a 2-1 win with John Daniel and Benjamin Simpson scoring tries. Next game was against Warriors who were low on numbers due to injury, so we lent them Benjamin Simpson. Final score a 5-3 win for Pumas with Lewis Simpson, John Daniel(2) and Brandon Wallace(2) scoring tries and Benjamin Simpson scoring two of the Warriors three tries. 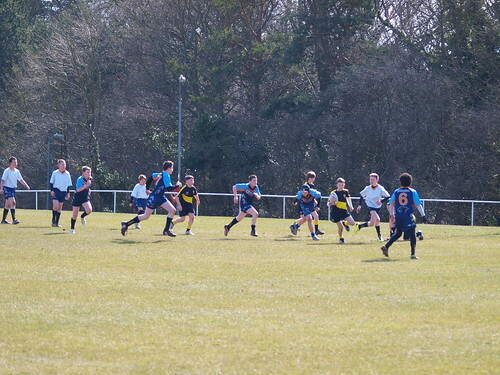 By the last game Pumas were beginning to get tired but still managed to put seven tries past Cramlington Rockets and again strong in defence, stopping them from scoring throughout (7-0). Try scorers were Benjamin Simpson(2), Lewis Simpson(2), Jack Paddon, Wallace and Zack Clarke. A fantastic effort from all the U11s. Meanwhile the U9s had joined with others from Broncos and Warriors to form a “Rest of the World” team against Whitley Bay Barbarians. They played some great rugby with both Blaine Strange and Ethan Bye scoring several tries and some fantastic tackling from Jack Lockey. The stamina shown by these was astonishing keeping up a great performance for the entire time and even when they were supposed to be having a break still running around and practising their kicking. Well done to all of them! Apologies should read Rhys Bye for the U9s, sorry Rhys!